God wants our homes and our families to be weird. He wants us to be different from the rest of society. Why? Because normal isn’t working. Normal is broke. Normal is depressed. Normal is dysfunctional. From the Biblical text we see that God saved the entire human race because one of His faithful servants was different from the rest of His creation. We see this in the life of Noah. It’s okay to be a little different, a little weird. In fact, God likes it when we’re different from the rest of the world! 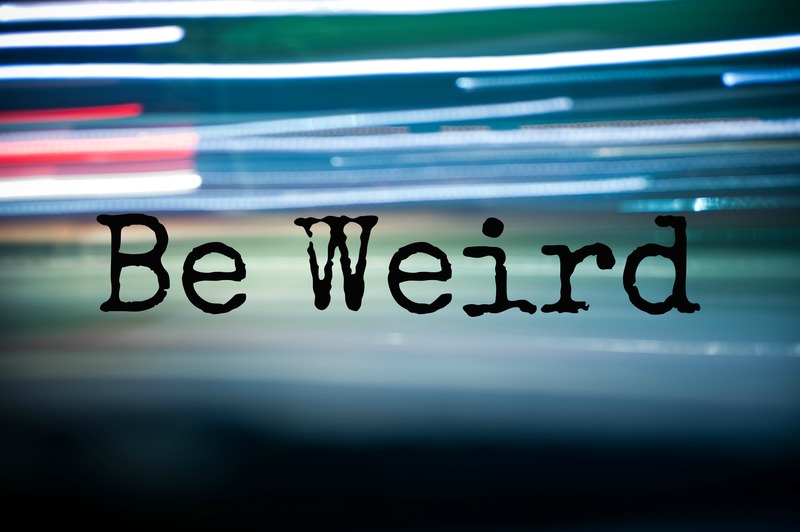 It’s God-honoring to be weird! Walt Disney was born in Chicago in 1901, the fourth son to Elias and Flora Disney. Two years later, when his sister Ruth was born, his parents became “unsettled by the raucous, saloon-centered environment” their quaint little neighborhood had become. So they decided to move to rural Missouri. While growing into adulthood, Disney’s primary goal was to create an environment that was completely different from the rest of society. He even called Walt Disney World “The Happiest Place on Earth.” Not simply a happy place, or even one of the happiest places… but The happiest! For most homes… that’s weird! Walt Disney knew that being weird was okay. In fact, being different was exactly what made his vision so attractive to so many people. Our Christ-centered homes should be weird, or different from the world in which we live. My prayer is that each one of our homes would be a safe-haven, a place of security, freedom, grace, unconditional love, etc., for ALL who cross our threshold!